Our Forklift Refresher training course is designed to ensure workplace safety is occurring at your site. It is recommended that Managers and Supervisors attend this session to ensure that the knowledge exists within the entire business on what makes safe and productive forklift driving. Forklift drivers that attend our course will be updated on Worksafe legislation, OH&S and forklift Licence renewal. Forklift Refresher Training in your business for all licensed operators is a very cost effective and convenient way of complying with all of your OH&S Forklift ‘Duty of Care’ responsibilities with training. Once refresher forklift training and assessment is completed we provide back to the business a comprehensive folder that contains all content covered as well as the theory and assessment papers on each individual. All of our refresher courses are conducted on your worksite in your environment and on loads that are typical. 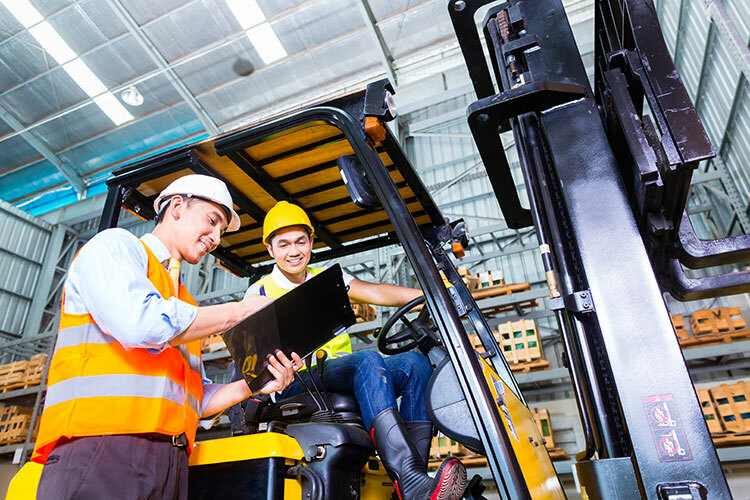 A Forklift Refresher Training Course in Melbourne or Regional Victoria / Country Victoria adds value to your business as we help you to minimise the risk of an accident occurring. Why risk it? – Refresher is a good thing to do as it helps to meet your Duty of Care requirements. We have provided training and assessment (licensing) for large and small business for more than 10 years. Victorian Forklift Assessments works closely with both State and Commonwealth OH&S legislators and are very passionate about the health and well being of those within industry.